The kids in the Homewood neighborhood call her Grandma Bev. The parents call her that, too, as does just about everyone else who knows her. 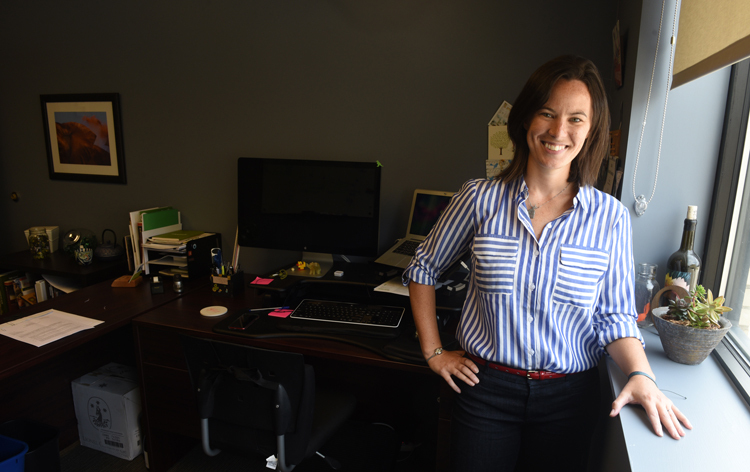 “Then I felt something kick me, saying, ‘What are you doing?’” Howell said of her epiphany. She had been working with Grounded Strategies as a community care steward. They gave her gloves so the kids could help clean up the trash safely. They connected her with other organizations to get plants and landscaping. One thing the nonprofit organization does is work toward blight mitigation and vacant land reclamation. But Grounded Strategies is multifaceted, dedicated to communities all over the city and Allegheny County helping community groups and local government make things better. His title is official greeter for visitors, and he sets a welcoming tone for the building. On the other hand, they also work with those government agencies to help make the process easier and friendlier for the locals. 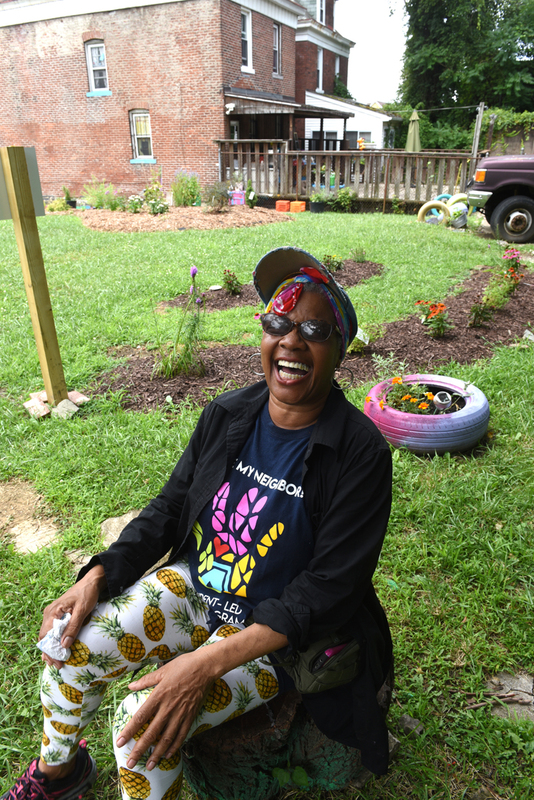 “We dig in the dirt alongside the residents, as well as sit at the table with the mayor and their staff,” Sing said. “To focus on how to make vacant land not a liability, but rather an opportunity,” Sing said. “Grounded gave me those metal flowers,” Howell said while pointing the the garden art in a bed of aromatic agastache. 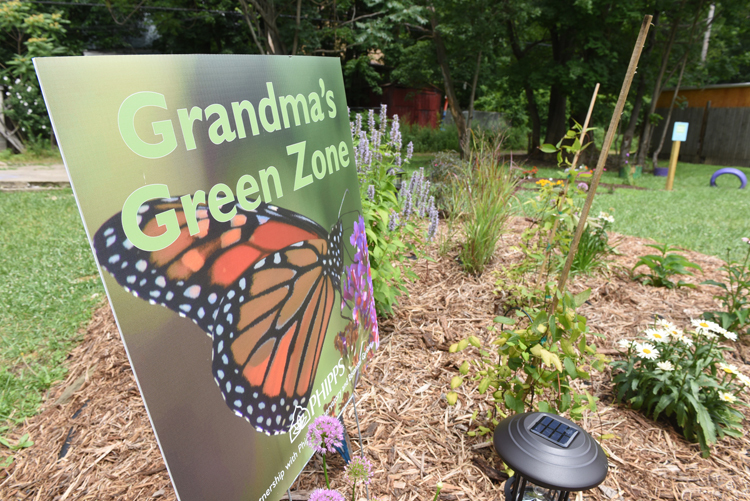 Grandma’s Green Zone is an area Beverly Howell has turned into a children’s garden with the help of Grounded Strategies. 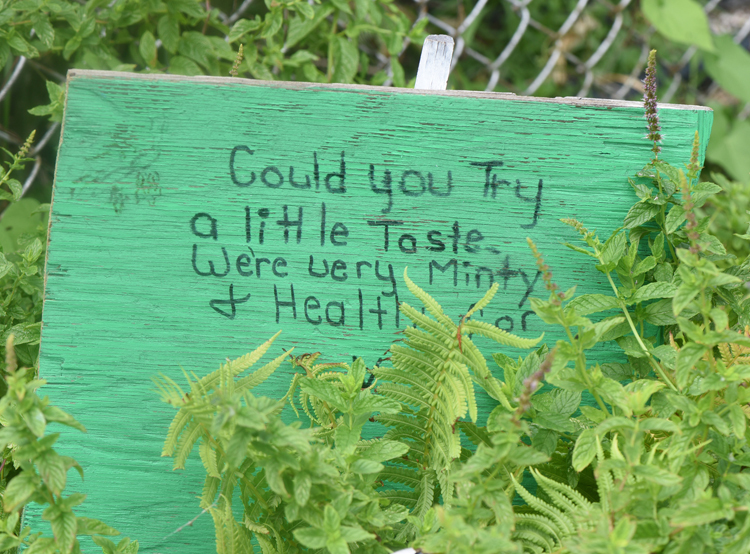 The landscape is filled with Beverly Howell’s handmade signs encouraging children to explore the garden. Details: Grounded Strategies offers a host of great resources for communities and individuals interested in their mission. Go to groundedpgh.org and lotstolove.org for more information. Check out another garden project in Homewood.